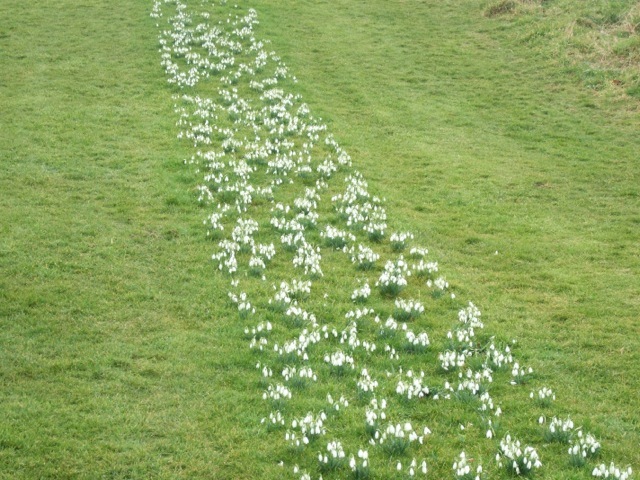 A line, measuring 1 x 100 metres, was delineated and planted with Common Snowdrops (Galanthus nivalis). The line runs due north and south. Each year, as winter yields to spring, the work announces its presence with the recurring growth and flowering of the snowdrops. 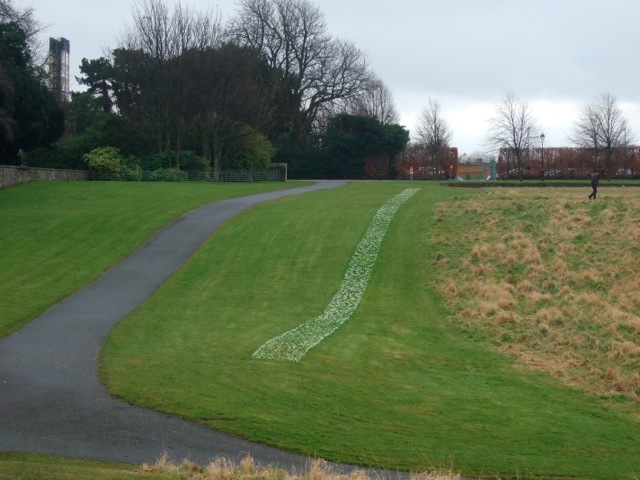 At this time, the work will appear as a white line against the verdant expanse of the meadow, before slowly disappearing. Commissioned for the permanent collection in 2007. This entry was posted on February 18, 2016 at 12:59 pm and is filed under Artists, Guest Blog, News. You can follow any responses to this entry through the RSS 2.0 feed. You can leave a response, or trackback from your own site.